The dream of canoeing started for me when I was just a kid. After working a few summer jobs, my brother and I had enough money to buy an 18-foot fiberglass canoe. One of my many adventures included a trip down the Des-Moines River from the source in Minnesota to Fort Dodge, Iowa. Even after weathering a tornado less than 1⁄2 mile from our camp I was hooked on canoeing. I can clearly remember sitting in the boat with my dad, drawing plans for a wooden boat when I was 12 years old. I dreamt of the day when I could build my own. My dreams spawned a reality in 1986, when I built my first redwood strip canoe. During the building process I realized that I was doing what I loved most. Designing and constructing wood strip canoes. Ever since then, it has become a passion for me. The adventure of exploring new places and enjoying the world’s nature is something that I have loved since I was a kid. Being able to maneuver through a powerful river or a serene lake in a wood strip canoe is indescribable. 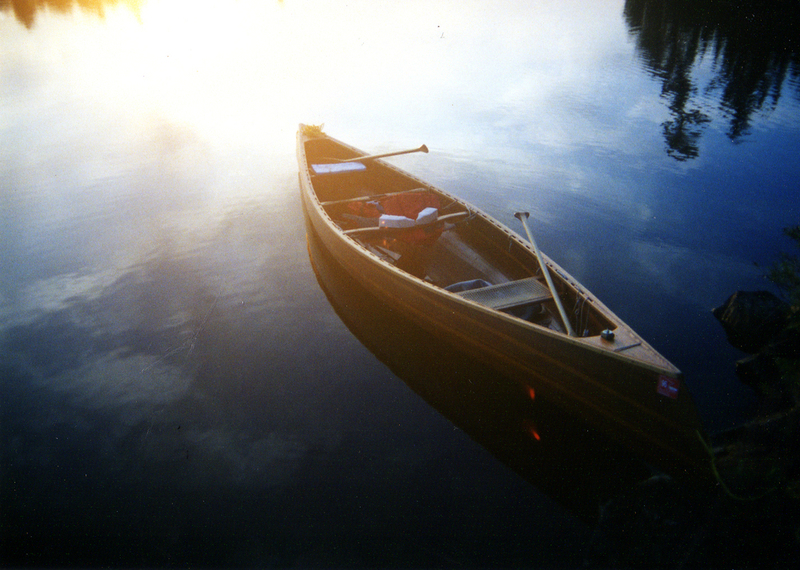 If you’ve ever banged around in a metal canoe you’ll immediately notice the quietness of a wood strip canoe. My admiration for the outdoors and natural materials is evident in the care that I put into constructing every wood strip canoe. Custom Canoes to fit your adventure. My adventures and canoe builds. Want to know more, just contact me here.